The 2005 USAR Hooters Pro Cup cars haven’t even turned a lap in competition yet and the tour’s silly season has begun. Southern Division Rookie of the Year contender A.J Frank announced at Saturday night's rookie and media appreciation dinner in Charlotte, NC that he will leave the ShoTime Motorsports team to instead run a second car to 2004 Pro Cup Series champion Clay Rogers and his car owners, Troy Baird and Johnny Dangerfield, and their East Coast Motorsports team. 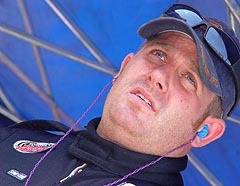 Frank had already announced that he would be driving for the ShoTime Motorsports in 2005, but parted ways with that team to make plans to team with Rogers. The arrangement is so new, that Frank doesn’t even have any cars to work on yet. 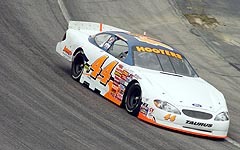 In 2004, Frank ran a limited schedule of NASCAR Southeast Series competition with his own team before dipping his toes into the Pro Cup pool with ShoTime Motorsports. The combination was quick off the bat. 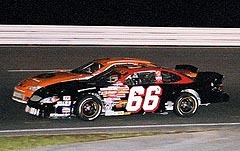 In their first and only start together of 2004, Frank qualified fourth and finished fifth at Adirondack. On paper, it looked like a good pairing, but Frank said that things weren’t quite fitting right in the off season. “We had a good run off the bat last year, but it wasn’t really coming together like we planned,” said Frank. “There was a lack of team chemistry. This deal was a lot more attractive to me. This might prove to be a decision that works out well for both parties in the long run. Speed51.com contacted ShoTime Motorsports for this story and found out that they are moving full speed ahead with their plans for 2005. On Monday afternoon, team representatives were in meetings to finalize their plans for the season and hope to be able to talk about those plans later in the week. 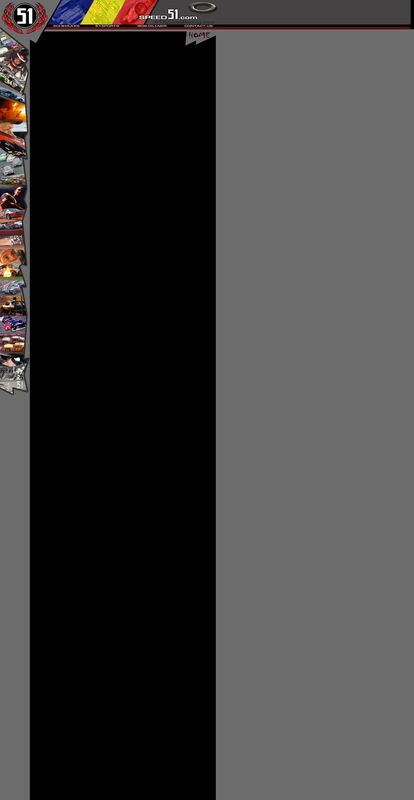 Speed51.com will follow these developments closely and report them as soon as details become available. It seems that Frank joining the East Coast Motorsports team is a logical step for him to make. He is close friends with Rogers and his car owners and spent much of the 2004 season helping out their operation. He even served as Rogers’ spotter in the Four Champions Championship Series portion of the Pro Cup season. “I think that I only missed two Pro Cup races all year,” said Frank. “My number one goal in racing is to drive, but last year when I wasn’t racing, I volunteered to help out Clay and the team. We all have a pretty healthy relationship. Troy and Johnny aren’t just owners, they are racers. They don’t go to the track half-assed. The USAR Pro Cup Southern division season kicks off at USA International Speedway (FL) on February 26th.